48 Port 10GB Switch Selection: What Is the Right Choice? The advent of big data, virtualization and cloud computing are pushing higher speed network adoption. As such, data center networks are going through a profound change – in which 40GE has become ubiquitous and 10GE a must. Network managers have reaped great benefits by deploying 10G Ethernet switch at the edge of the large professional network, which makes 10G SFP+ switch a choice for speed and productivity. In the midst of various 10G Ethernet switch, a 48-port 10Gb switch is considered as an optimal solution for handling data traffic that delivers great scalability. Then how to choose the right 48 port 10gb switch? We’re going to explore it in this article. Why Do I Need a 48 Port 10GB Switch? 10G Ethernet switch is a cost-effective solution compared to multiple Gigabit Ethernet ports, while delivers substantially better throughput and latency. It is already well established in IT industry and we’ve seen massive adoption of 10G infrastructure. Density, power and cooling of 10G SFP+ switch are key motivators for deployment of data center network. With compelling improvement in bandwidth, port density, latency and power consumption. 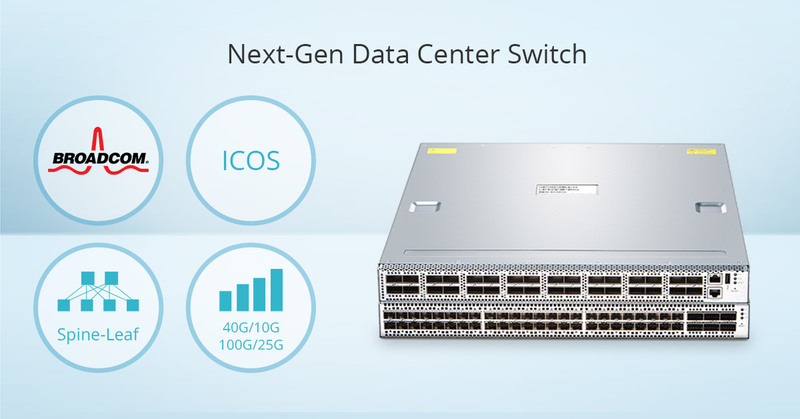 10G SFP+ switch has become the interconnect of choice for latency sensitive application with enhanced reliability and network performance. 10G Ethernet switch comes into various port configuration, and a 10gb 48 port switch is the most future-proofing one with abundant application in business oriented network. 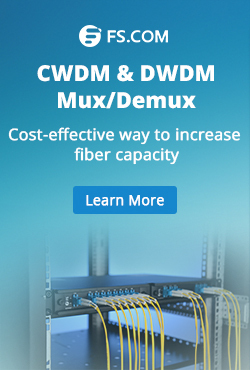 It increases the total available bandwidth, the reduced power consumption in cables and switch ports, and overall reduction in infrastructure costs. As the need for 48 port 10 GbE switch spurring, vendors also compete to offer 10G Ethernet switch with advanced function and decreased cost. 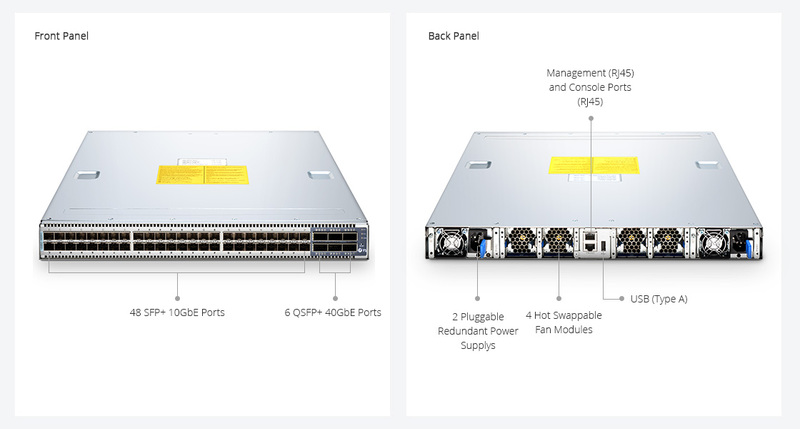 Here we compare some commonly seen 48-port 10GbE switch along with FS.COM N5850-48S6Q 48 port 10GbE switch, including parameters about their port combination, switching capacity, latency, power consumption and 10Gb switch 48 port price. When selecting a 10G SFP+ switch, it all comes down to two things: application and budget. Your application of the 48-port 10GE switch partially determines several factors, such as port configuration, switching capacity, power consumption and switch class. The port configuration and speed are relative to switching capacity. So you have to consider the amount of traffic to run through this 48-port 10GE switch and select one that can accommodate all the data flow. Power consumption on the other hand is also very essential as it defines the operating cost in the long run, a power efficient switch can save you a great amount of money. All the 10G Ethernet switch in the table have very similar port combination and they are all L2/L3 switches. 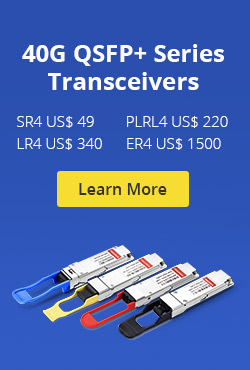 As for these 48-port 10Gb switch price, N5850-48S6Q has unsurpassed benefits over the others. This 48 port 10GE switch N5850-48S6Q is a 10G SDN switch, which is designed to meet the high-performance, availability, and network-scaling requirements of enterprise and cloud data centers. It provides full line-rate switching at Layer 2 or Layer 3 across 48 x 10GbE ports and 6 x 40GbE uplinks, delivering 1.44Tbps switching capacity for the most demanding applications. This 48 port 10GE switch can be used either as a Top-of-Rack switch, or as part of a 10GbE or 40GbE spine-leaf fabirc. All ports support full L2/L3 features, IPv4/IPv6 and OpenFlow for high scalability and Software-defined Network (SDN) for ease of operation. Besides, N5850-48S6Q 48 port 10GE switch delivers excellent low latency (680 ns) and power efficiency in a PHYless design. While support for advanced features, including MLAG, VxLAN, SFLOW, SNMP, MPLS etc, this 48 port 10G Ethernet switch is ideal for traditional or fully virtualized data center. 48 port 10GB switch has made a great leap forward to satisfy the demand for increased network performance, reliability and scalability. The need for 10 Gigabit Ethernet spans all markets and business types, as technology marches forward, these 10G Ethernet switches will no doubt drop in cost and increase in capability. Equipped with higher level of hardware and software reliability design, FS.COM 48 port switch offers compelling reliability and scalability improvements. For more information, welcome to visit our site. Related Article: How to Choose a Suitable 48-Port PoE Switch? This entry was posted in Fiber Optic Switch, How To and tagged 10g ethernet switch, 10g sdn switch, 10gb 48 port switch, 10Gb switch 48 port, 48 port 10 gigabit switch, 48 port 10gb switch, 48 port 10gbe switch, 48-port 10Gb switch price, 48-port 10ge switch, 48-port switch on December 28, 2017 by Aria Zhu.